US President Donald Trump has announced plans to hold a second meeting with North Korean leader Kim Jong-un early next year. The New York Times highlights the failure of the pair’s meeting in June to stop North Korea’s nuclear program. CNN argues that, despite Trump’s efforts, progress towards peace has been achieved mainly through meetings between the North and South. This piece in The Interpreter claims denuclearisation of North Korea is less of a priority for the South as it pursues détente, peace or even a non-aligned, nuclear-armed, unified state. And The National Interest explains why Trump should accept and encourage peace negotiations between the Koreas. Following the G20 summit, Beijing and Washington appeared to have reached a ceasefire in the trade war, though the arrest of Huawei’s CFO in Canada might threaten it. CSIS analyses the likelihood of the two powers arriving at a lasting deal in a dispute that has been building over decades. The Conversation puts forward two reasons the truce won’t last, while Bloomberg attempts to answer some unanswered questions about the ‘truce’. Speaking of China, see the Financial Times for the importance of Japan’s relationship with South Korea as it contends with China’s rise. The UN University’s Centre for Policy Research produced a report looking at the issues faced by the Security Council in times of global power struggles and the dangers that disagreement among its five permanent members can provoke. 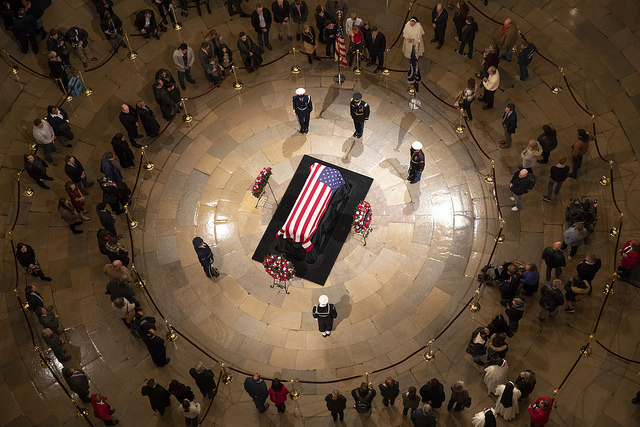 The passing of former US president George H.W. 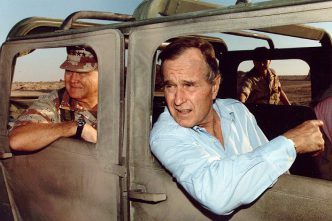 Bush has seen condolences pour in from around the world. This Associated Press piece shares how Mikhail Gorbachev remembers his counterpart at the end of the Cold War, and the Washington Post taps into the nostalgia felt in Russia (and elsewhere) following Bush’s death. Meanwhile, Keli Goff’s op-ed for The Daily Beast looks at ‘41’s’ legacy of racial inclusivity and ethnic diversity, motivated by his own family. The results of a Carnegie comparison of gender equality in government in the US and Tunisia may surprise you. Despite being one of the world’s oldest democracies, the US has fallen significantly short of Tunisia when it comes to female involvement in politics. And Brookings brings you the latest on how this relatively small country has stood up to Crown Prince Mohammed bin Salman on Saudi Arabia’s intervention in Yemen, the killing of journalist Jamal Khashoggi and the suppression of female activists. Two speeches made some waves this week: the chief of UK spy agency MI6, Alex Younger, delivered only his second public speech in four years, applying the fourth industrial revolution to his own industry and the need for fourth-generation espionage. The other was by US secretary of state Mike Pompeo, who questioned the concept of multilateralism and criticised international organisations during a speech at the German Marshall Fund. Politico and the Council on Foreign Relations were both critical of his efforts. And for some extra reads, this BBC investigation is fascinating and scary as it uncovers the heart of fake news production, and talks to those who try to fight it. 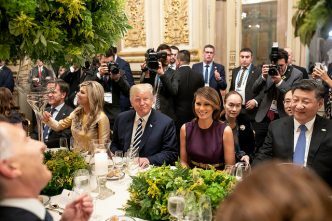 Michael Fullilove wrote in the Sydney Morning Herald on why the G20 turned out to be awkward for Australia, and the New York Times looks at German chancellor Angela Merkel’s legacy and what will come next. The Boston Review provides insight into long-lost manuscripts by Malcolm X that might change people’s understanding of him. To get you ready for ‘Tech geek’, read this critical Intercept analysis about the building of predictive software that uses AI to add people to the US no-fly list. 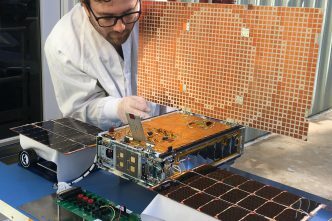 Three miniature Australian satellites—or cubesats—were launched on a SpaceX Falcon 9 booster, along with 61 others. The University of New South Wales in Canberra put up the M1 maritime surveillance cubesat, South Australian company Myriota deployed a cubesat to support direct-to-orbit communications for the internet of things, and Fleet Space launched its Centauri I to support IoT applications. 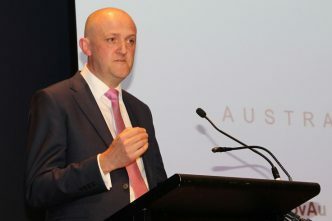 Adding to the good Australian space news, it’s been announced that a space launch facility will be established in 2019 on South Australia’s Eyre Peninsula and run by Australian company Southern Launch. Abhijit Singh has provided a great assessment of future maritime operations in Asia, including the Indian Navy’s growing role. Staying at sea, and almost with a Monty Pythonesque element of comedy, Spain has sailed a warship through UK waters around Gibraltar, blasting the Spanish national anthem from its loudspeakers. When we think about nuclear war, we think about mere minutes between detection and detonation. This fascinating historical video from the US government gives us an insight into yesterday’s nuclear war, taking us back to a day when missiles didn’t exist, manned bombers were the delivery system and it could take hours for a nuclear attack to take place. China has deployed a new variant of its DF-21D anti-ship ballistic missile system, with greater potential range, speed and accuracy, and an ability to operate from rough sites, increasing its operational flexibility. Finally, if you want to understand the implications of a US space force, check out this podcast on the Monsoon Project. 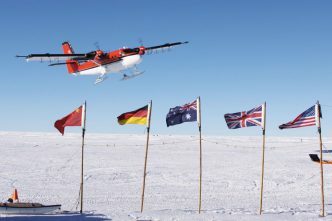 This week in 1959, 12 countries signed the Antarctic Treaty, which states that Antarctica ‘shall be used for peaceful purposes only’ and bans any military activity on the continent. Will that change in 30 years? Al-Jazeera captures the aftermath of protests in Paris, where demonstrations against the government’s plans to increase fuel and energy prices turned violent, in these photos. Canberra, 10 December, 5.30–8.30 pm, ANU: ‘Universal Declaration of Human Rights: celebrating the 70th anniversary’. Register here. Canberra, 11 December, 12.30–1.30 pm, ANU: ‘Women policing in China: separate but equal?’ Tickets here. Perth, 11 December, 6.00–10.00 pm, Australian Institute of International Affairs WA: ‘Future uncertain: Australia’s world in 2019’. Tickets here ($55). Jacqueline Westermann is a researcher, Malcolm Davis is a senior analyst, and James Brorson is the program development coordinator at ASPI. Image courtesy of the White House on Flickr.